Kaytlin has one of the smallest rooms in the house. She doesn’t usually mind, but because of the size she doesn’t have enough room for a dresser. The clutter in her closet was finally starting to get to her. We decided her most pressing issues were her shoes and a place to put her socks and undergarments. 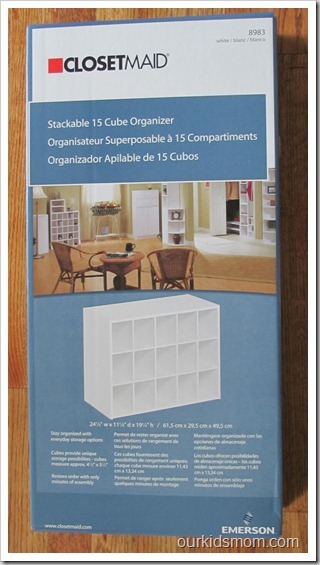 ClosetMaid knew just what we needed and sent a 15 cube organizer and a stackable 2 drawer organizer for our review. 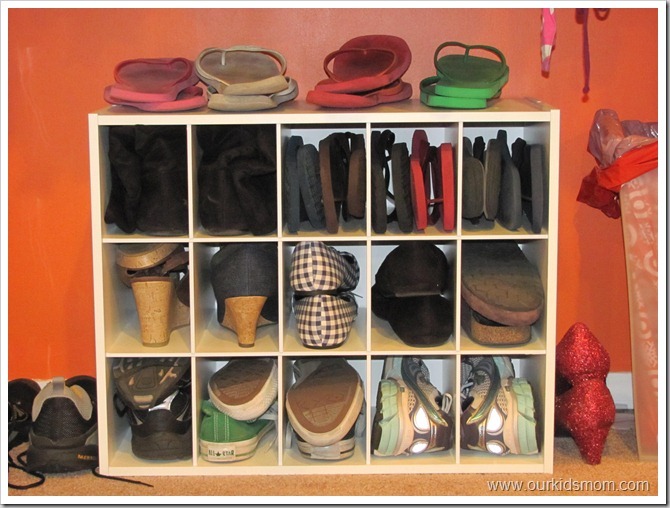 There were several shoe organizing options, but we agreed that the stackable 15 cube organizer would be the most space efficient. Although it arrived in several pieces it was fairly simple to assemble. The construction was sound and it held a good number of shoes in a small amount of space. Perfect! 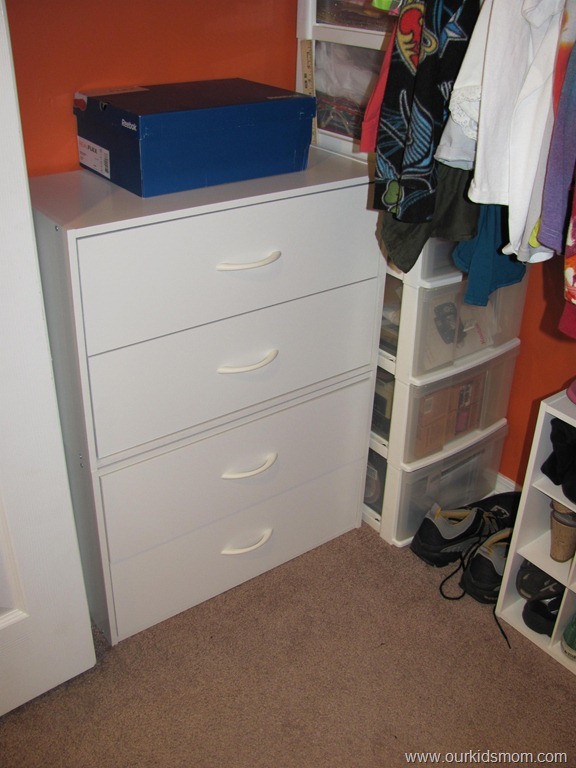 The lack of space in the main portion of her room led us on a hunt for either a narrow dresser for the side wall of her closet or some sort of cubicle device to sort her undergarments. 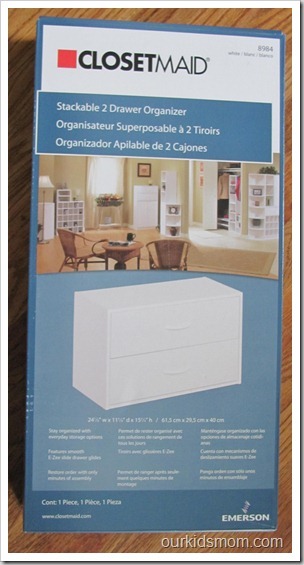 ClosetMaid carries a stackable 2 drawer organizer that fit our space and our needs. The stackable drawer organizer also came in several pieces and was a bit more involved when assembling. Kaytlin was able to put it together on her own, though, and proudly showed me the end result. The quality on this item was also up to par and fit her needs so well we went shopping the same day to purchase a second set. As you can see from the photo, they stacked nicely. She was able to store all of her smaller clothing items and save precious hanging space for the larger items that needed to be hung. 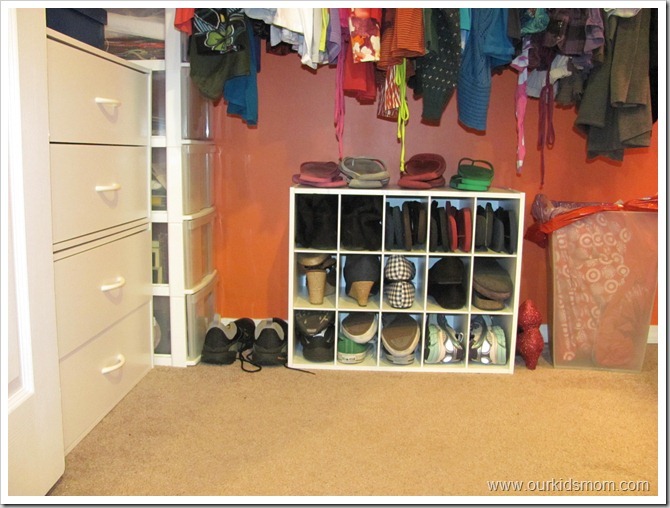 It’s incredible how 3 small items can help organizer and declutter a room! Both products were fairly simple to assemble, decent quality that will stand up to normal use and they look nice as well. 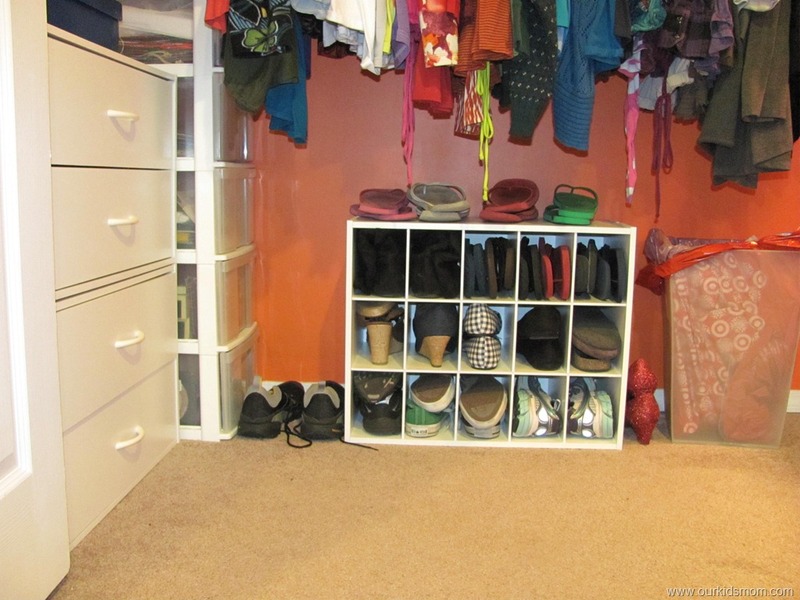 ClosetMaid has such a wide variety of organizational items that we are considering using them to organize the other closets in the house as well. Our hall closet is in dire need of help… we are constantly being attacked by falling items! I have these for my shoes and i love them! I think the shoes organizer would also work great for cloth diapers! I could sure use these in my chaos of a closet!!! 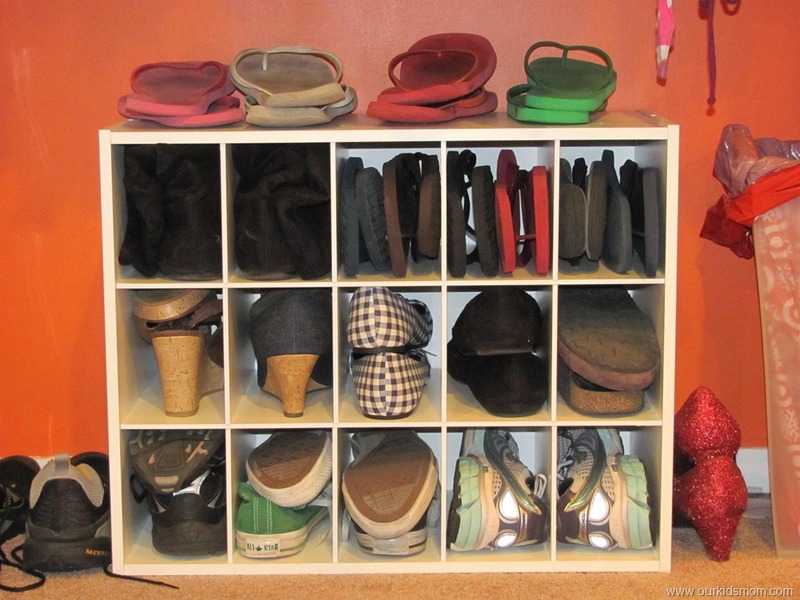 Love the shoe rack! I bet she’s happy with her “new” closet! I have a couple of their little organizers in my front closet, they’re great for keeping things off the floor and in place. I like that stackable organizer, and I know exactly which room it could go in. 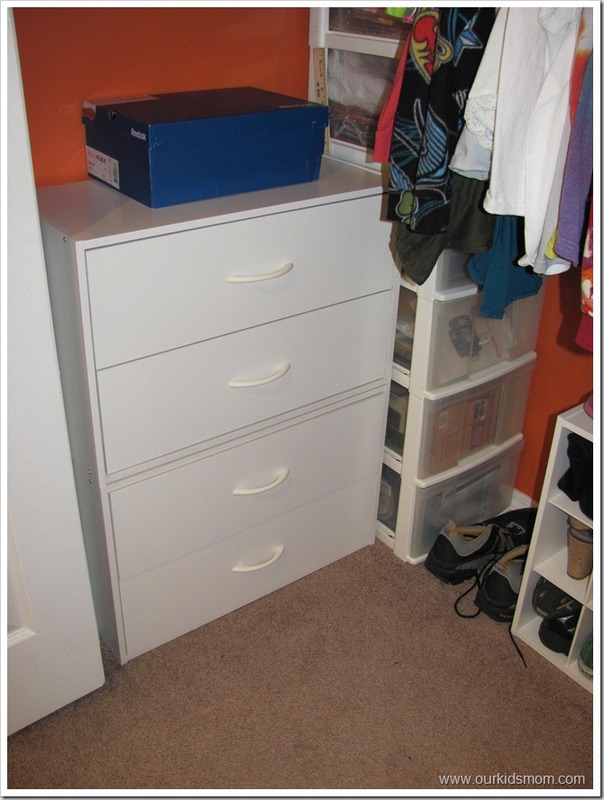 Wow that looks like its doing the trick, I have a teen that needs a closet transformation LOL. I could use one of these for my closet. I love the cube storage! It makes a great place to store mylil guys toys! I need a better shoe organizer. I have a SMALL shoe rack and then the others are in a plastic drawer. I have SO MANY SHOES!! I’m a Shoe Girl! 🙂 But I need something more like this to store my shoes better! I could really use one of these! Thanks for sharing, now i am going to have to go buy one! 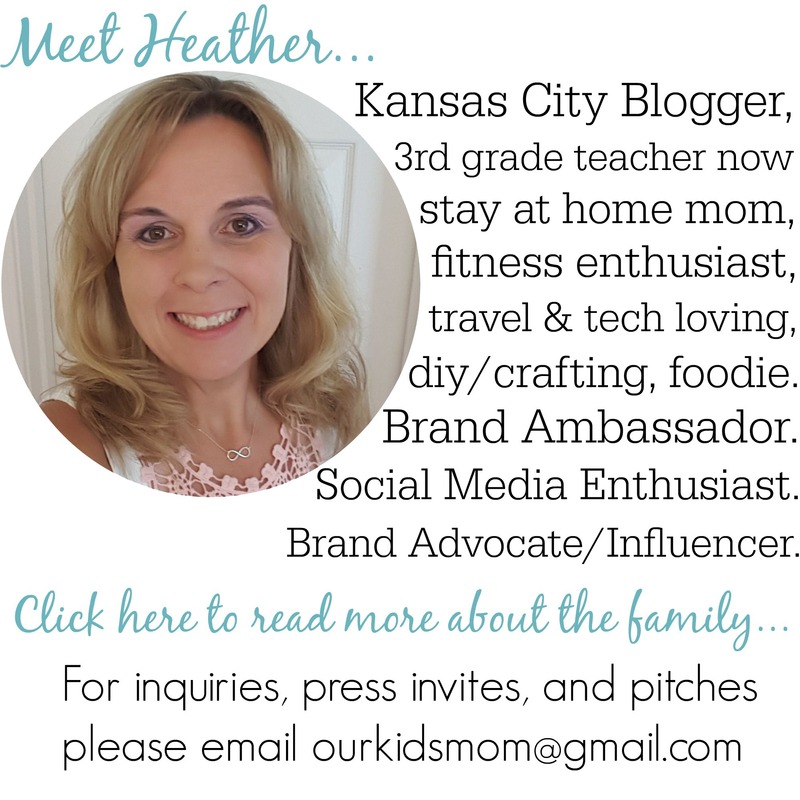 I could have used items like this when all my kids were home…had three girls in one room and as they got to be teenagers, space was limited indeed!!! Oh my gosh, that’s EXACTLY what my daughter is going to need. She’s going to be moving out on her own after graduating from college and she needs EVERYTHING for her new place. 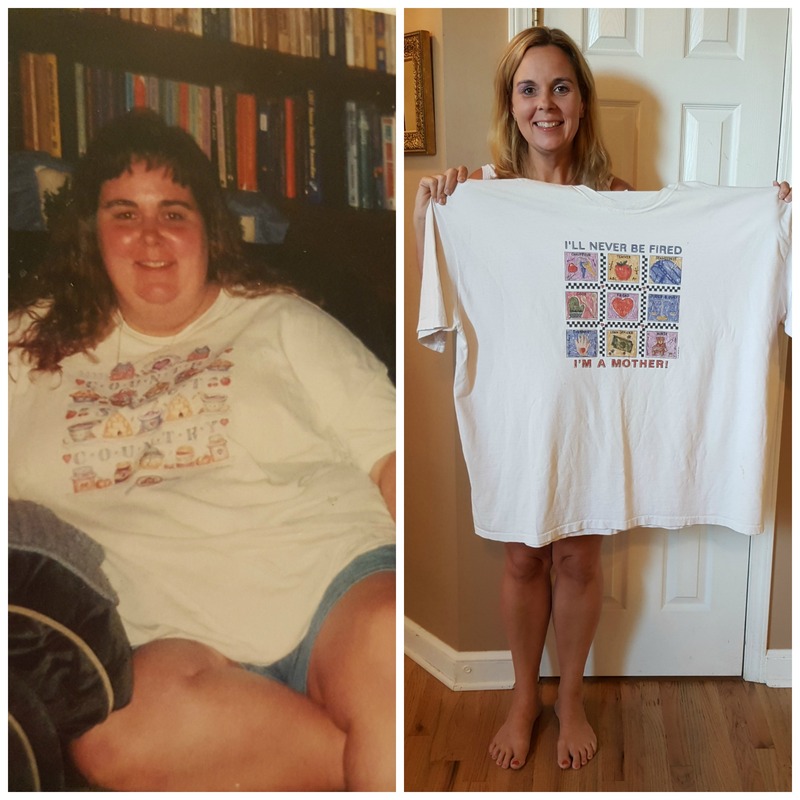 Thanks for sharing about these! I live in a 100 year old house with no closets…I’ve put up “Closet systems” but they come down … this post led me to Closet Maids site and I just made a large purchase, I think this is just what I needed, thanks for pointing me to Closet Maids, I had never heard of them until I read your post! 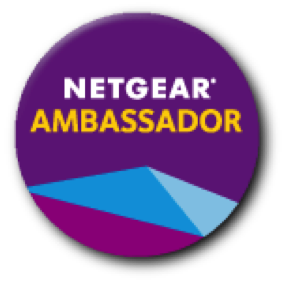 Thank you thank you thank you….I will let you know how it goes!